To educate my clients, family members, caregivers and the public about the benefits of massage therapy, oncology massage and manual lymph drainage, which are integrative healing therapies that are growing in acceptance throughout the world. Skilled in a variety of massage modalities that are relaxing, restorative and rejuvenating, I offer massage to everyone. I enjoy seeing clients from all walks of life. I have clients who range in age from eight to eighty-five! Over the years of practice, I have worked with teachers, nurses, social workers, writers, IT business people (to name a few) - so many interesting people in occupations who have various health conditions. Take a look at the many specialized services on my website that I offer. In 2007, I acquired my Texas professional massage therapy license (TX LMT #102176) and in 2010, I concluded my career in public education after twenty-five years. I am available to give hospital massage sessions to in-patients at local Austin area hospitals, as well as offering out-call sessions to individuals who need to be at home/nursing home/assisted living center, etc. I was recently honored to be inducted into the 2017 Massage Therapy Hall of Fame by the World Massage Festival. See link below for my bio. Graduated from the Lauterstein-Conway Massage School in Austin, Texas with 550 hours and currently have more than 1800 hours of continuing education in massage therapy training since 2007. Completed the 135-hour certification program course for complete decongestive therapy (CDT) that consists of manual lymph drainage therapy, compression therapy (bandaging/wrapping), exercises, skin and nail care and self-care (patient education). This certification course, offered by Klose Training Consulting LLC, is based on techniques developed by Dr. Emil Vodder, Ph.D., MT. Completed a 2.5 day course/hands-on clinical work (20 hours) for head and neck lymphedema workshop, given by Norton School of Lymphatic Therapy. Training at St. David's Round Rock Hospital; Instructor: Brad G. Smith, M.S., CCC-SLP, CLT, UT MD Anderson Cancer Center. Completion of more than 100 hours of hospital massage therapy training in which I have worked with patients, caregivers and medical staff. My training has taken place in three hospitals: Oregon Health and Science University, Portland, Oregon; Virginia Hospital Center, Arlington, Virginia; and Mt. Sinai School of Medicine, New York City, New York. Completed thirteen hours of infusion center massage therapy training from Greet the Day, Institute of Integrative Oncology, California. This special type of hand and foot massage is given to people in infusion rooms. It has been shown to help reduce anxiety as well as help decrease some of the side effects of treatment, such as neuropathy of hands/feet. Completion of Geriatric Massage Therapy and Compassionate Touch for Eldercare and Hospice trainings. I have given massage therapy sessions to people in the "senior population" at their homes, at extended care facilities, at hospitals and at my massage studio. As there are no typical seniors, eldercare massage takes age-related health conditions into account. Completion of more than 40 hours of training from Final Touch Training (Adapting Massage for End of Life) and Opening to the Mystery-Presence in Caregiving at the End of Life. 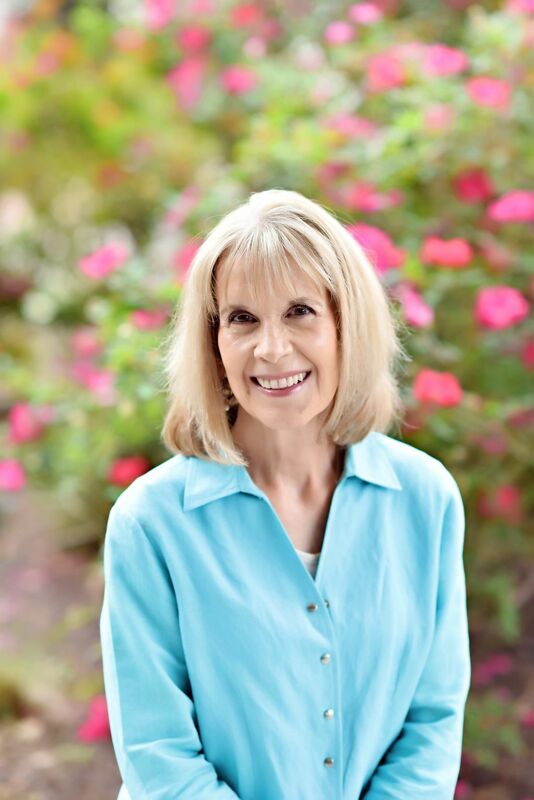 I have given hospice massage therapy sessions to people in hospitals, private homes, skilled nursing facilities, hospice locations as well as to men and women at end of life. 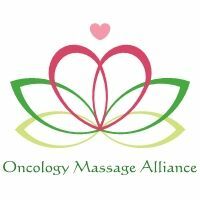 Society for Oncology Massage (S4OM) - the mission of S4OM is to support the safe delivery of massage to people who have been diagnosed with cancer, to promote an oncology massage education standard and to collaborate in research. Some of the S4OM values include facilitating and encouraging the training of all massage therapists in the basics of oncology massage as well as educating the medical community, cancer patients and their caregivers about the extreme importance of proper training for oncology massage therapist. Society for Integrative Oncology - The mission of the Society for Integrative Oncology (SIO) is to advance evidence-based, comprehensive, integrative healthcare to improve the lives of people affected by cancer. Lymphatic Education & Research Network (LE&RN) - LE&RN is an internationally recognized non-profit organization founded in 1998 whose mission is to fight lymphatic diseases and lymphedema through education, research and advocacy. National Lymphedema Network - The National Lymphedema Network is dedicated to promoting the awareness of lymphedema and empowering people with lymphedema to live life to the fullest. Massage Therapy Foundation - this organization advances the knowledge and practice of massage therapy by supporting scientific research, education and community service. Oncology Massage Alliance (OMA) - The Oncology Massage Alliance is a 501(c)3 nonprofit foundation created by four therapists in May 2011 and dedicated to providing complimentary hand and foot massage sessions, which are designed to help reduce stress and provide emotional support to individuals undergoing cancer Infusion and radiation room treatment. I am one of the co-founders of this organization. I am one of the co-founders of this organization. Healwell - Healwell, a nonprofit based in Arlington, Virginia is an ever-growing team of passionate, committed and highly skilled practitioners, thinkers, researchers, business leaders and other humans who collaborate every day to improve the experience of illness. Their massage therapists, directors and advisors bring a wide variety of perspectives and experience to keep Healwell on the cutting edge of the ever-changing landscape of healthcare and integrative medicine. Healwell’s mission is to improve quality of life for people affected by acute, chronic, and serious illness through massage therapy, education, and research. Neuropathy Alliance of Texas (NATX) - The mission of NATX is to empower the neuropathy community to live their best lives and to support neuropathy research.